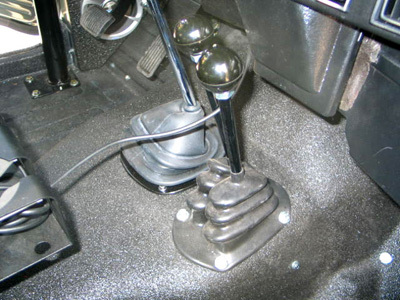 AND WAS DESIGNED TO REPLACE THE STOCK VACUUM OR MECHANICAL SHIFTERS FOR EARLY AND LATE MODEL FJ40,45,55 LAND CRUISERS. TWIN STICK BENEFITS INCLUDES NO LINKAGE BINDING, NO SHIFTER GATING, A LOW 2WD OPTION, SMOOTH OPERATION, AND A UNIVERSAL FIT. 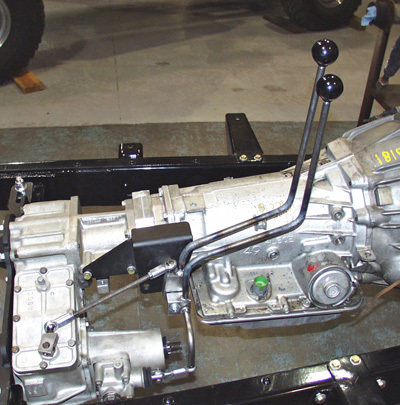 THE TWIN STICK TRANSFER CASE SHIFTER LINKAGE CAN BE SETUP TO FIT VARIOUS DRIVE TRAIN APPLICATIONS FOR BOTH THE 6-CYLINDER AND V8 CONVERSIONS AND WAS DESIGNED TO REPLACE THE STOCK VACUUM OR MECHANICAL SHIFTERS FOR EARLY AND LATE MODEL FJ40,45,55 LAND CRUISERS. TWIN STICK BENEFITS INCLUDES NO LINKAGE BINDING, NO SHIFTER GATING, A LOW 2WD OPTION, SMOOTH OPERATION, AND A UNIVERSAL FIT. 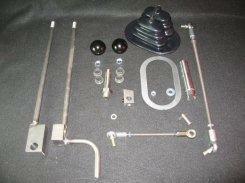 THE SHIFTER RODS AND MOUNTING BLOCKS WILL REQUIRE SOME WELDING AND RE-POSITIONING DEPENDING ON THE APPLICATION. HARDWARE AND INSTRUCTIONS ARE INCLUDED.